High above the Rio Darro, the ancient abbey of Sacromonte broods over the lush Andalusian countryside from atop its hallowed mountain, at once majestic and foreboding. Below it crouches the old Arabic quarter of Granada, Spain, its cobblestone streets lined with gypsy houses carved into the living rock of the mountain. Sultans and caliphs, pilgrims and martyrs have all walked these crooked streets in centuries past. Legends and mysteries still live here, their allure as powerful as the Spanish kings and queens who once commanded armies and launched galleons to conquer the world. Visitors to Sacromonte today are captivated by tales of sacred relics unearthed just a hundred years after Columbus sailed for America — holy treasures that were said to have preserved the tears of the Virgin and performed miracles of healing. Sweet fragrances and curious lights were witnessed by the faithful, while the ghosts of long-dead priests were said to march through the shadowy streets at sunset. Meanwhile, within the ruins of a Moorish tower, an even stranger find awaited discovery. In 1595, stonemasons uncovered dozens of lead disks engraved with curious prophecies in an ancient Hispanic tongue. The translated texts proclaimed that Saint Cecil, the venerated patron saint of Granada, was in fact a Moor, and that Moorish Christians were the fathers of the Spanish Christian Church. These libros plúmbeos, or leaden books, and their astonishing claims caused an outcry from Rome and inspired equal fervor from the Spanish faithful. Whether clever forgeries, or divine revelations written by the hand of God, the libros plúmbeos of Sacromonte and their provocative legend endures to this day, a testament to the power of a story to stir the spirit and beguile the mind. 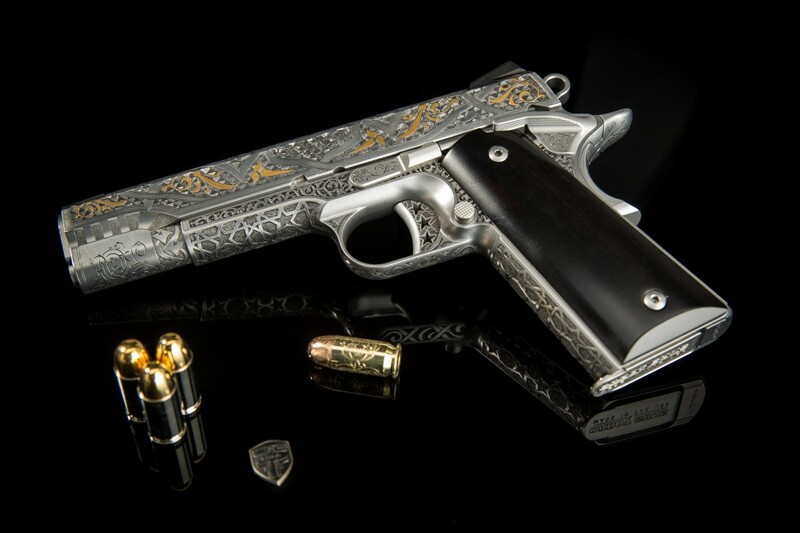 The whispers of legend, the breathtaking tracery of Moorish art, and the arabesque flourishes of Spain combine in the magnificent artistry of the Legend of Sacromonte pistol by Cabot Gun. 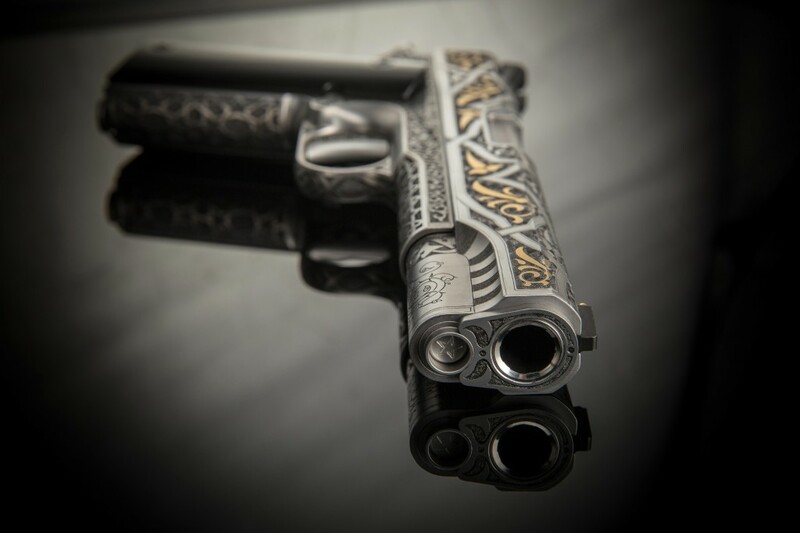 Exquisitely designed and elegantly crafted, the Legend of Sacromonte evokes the allure of ancient mysteries while embodying the pinnacle of firearm technology engraved by Master Engraver, Otto Carter. 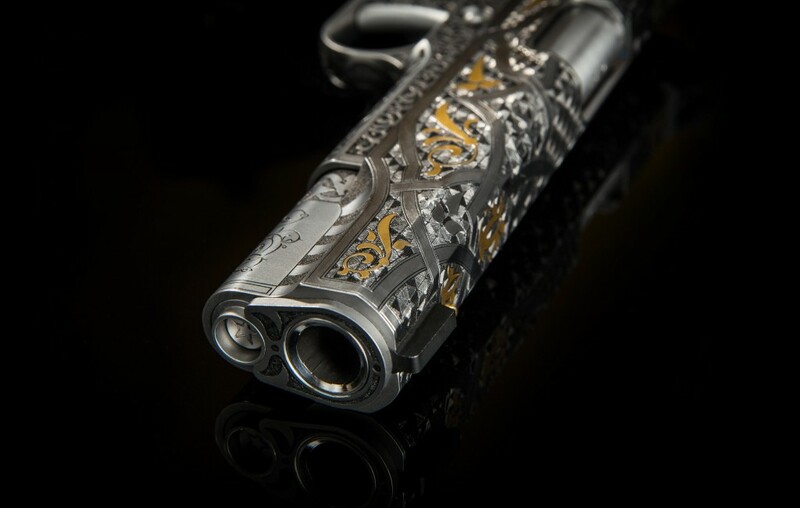 Carter’s second piece for Cabot Guns, The Legend of Sacromonte, shows what a true artist can do with nothing but imagination and a blank canvas of stainless steel. Intricate, flowing embellishments take their inspiration from Moorish design, especially but not exclusively the artwork adorning the Alhambra palace in Grenada, the Royal Court of Ferdinand and Isabella of Spain. Creating Sacromonte required a steady hand, a practiced eye and four-months of dedicated labor. The finished piece is more than the sum of its parts. 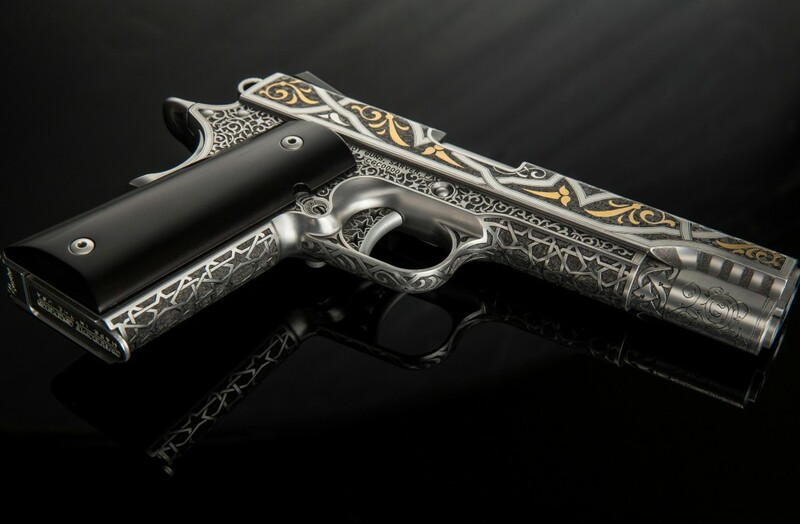 Working from freehand drawings, Carter strived to make each element blend into and enhance the whole, creating an engraved gun that’s a journey of aesthetic discovery. Sacromonte is Carter’s second piece commissioned by Cabot Guns. His previous work, Pandemonium, was hailed as an artistic triumph. Carter says Pandemonium was the breakthrough that enabled him to explore exotic design possibilities witnessed in The Legend of Sacromonte.